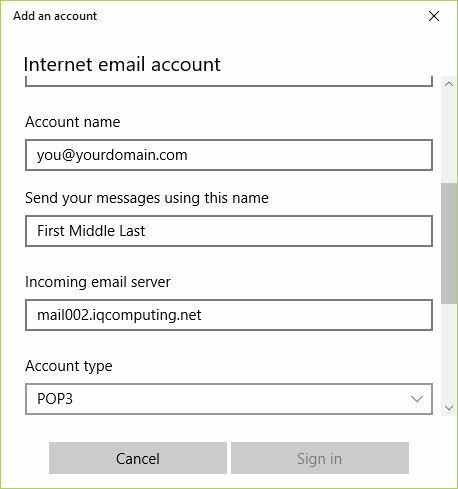 If your services include IQComputing’s POP3 or IMAP email accounts, you can use the following steps to add an email account to Windows 10 mail (these steps do not apply to Exchange email accounts). 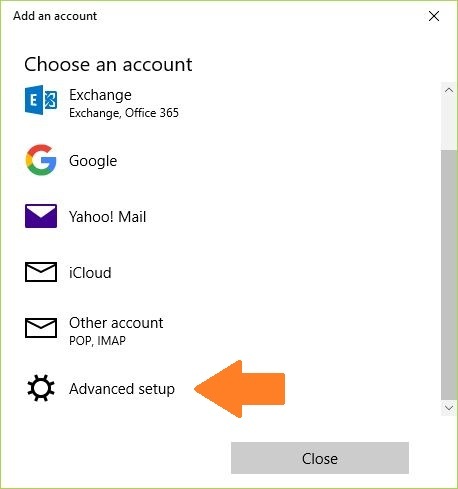 Locate and left click your Windows 10 Start button and click on Mail. 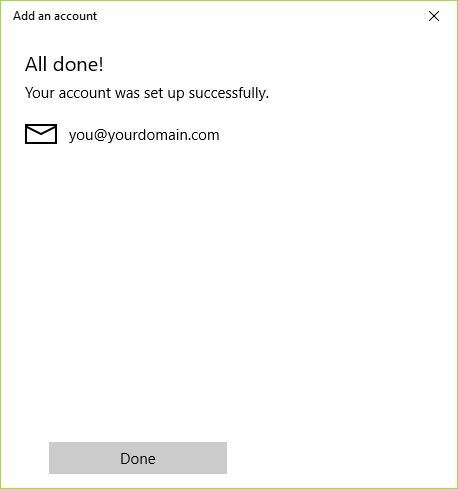 If you have added an account on your system already you should see the following screen. If you have not added an account previously on the system go to Step Three. Click on Accounts on the left of the screen then click on + Add account. Scroll down the pop up window and select Advanced Setup. On the next screen select and click Internet email. 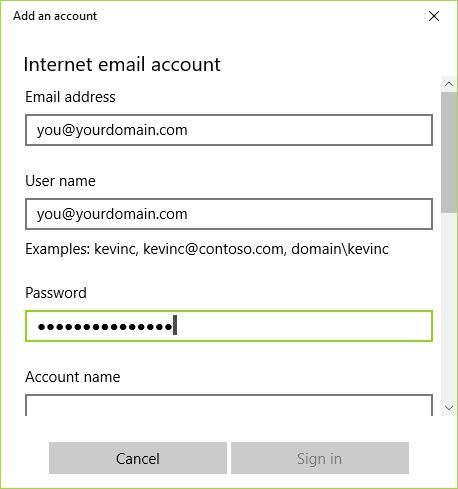 On the next Internet email account screen enter the Host Name, User Name and Password under Incoming Mail Server and Outgoing Mail Server settings and ensure you select Account type POP3 and click Sign In to create the account. 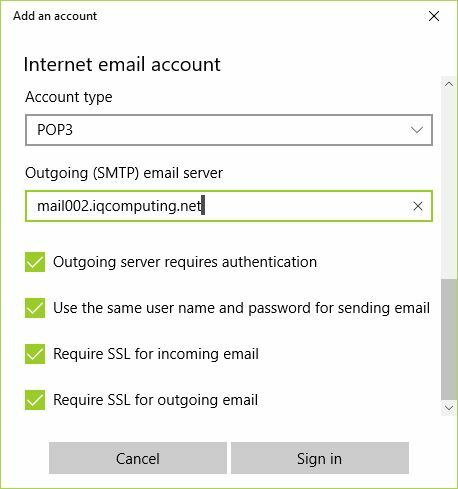 See a full list of email server ports and settings for Google Apps and SmarterMail. Setup is complete! 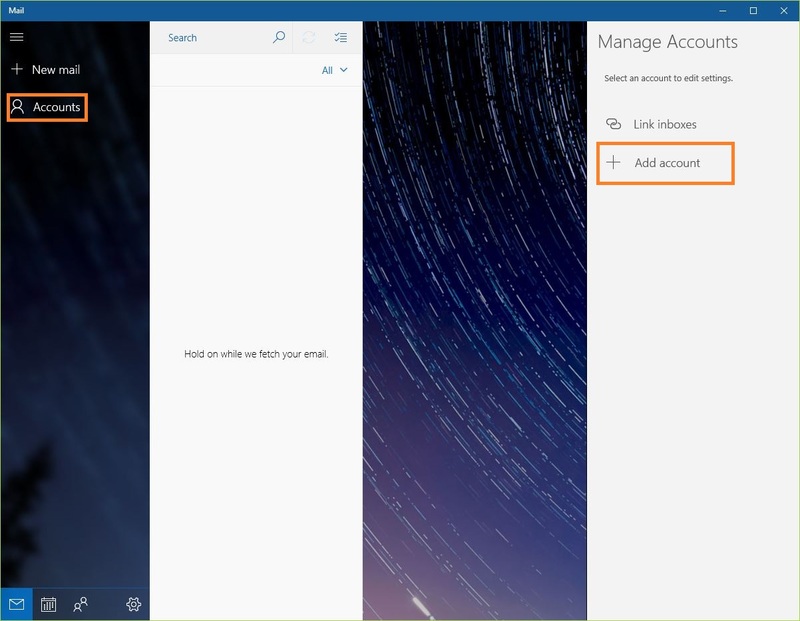 Upon completing these steps your email account should be ready for use in Windows 10 mail. 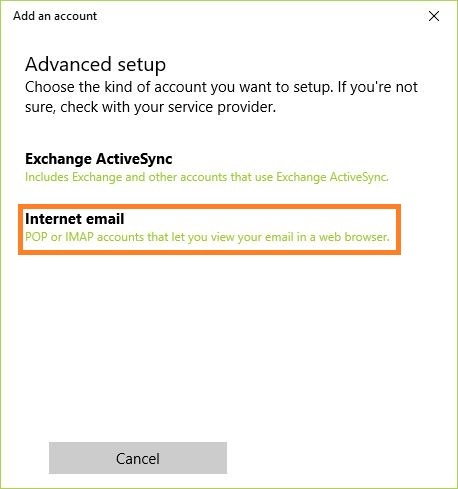 Please test your new account settings by sending a message to yourself and if you have an alternative account try sending a message to that account and then reply back from the alternative account to your new mail account to confirm send/receive is working as expected!